The book of 2 Kings, chapters 22 and 23, tell us about a reformation that took place in Judah during the reign of King Josiah. If we consider the general background of the passages, it's likely that some were already trying to bring their wayward nation back to God. A project for repairing the Temple was underway. Josiah was the grandson of King Manasseh, a king who had been a wicked man. It was during Manasseh's reign the nation had fallen head-long into idolatry and immorality. The people worshipped the god Baal, they paid homage to the stars and were led by wizards who practiced various enchantments. Then in the course of repairing the Temple, the book of the law of God was rediscovered. The things of God had been so neglected for more than fifty years, it would seem that neither King Josiah nor the priest who announced the book's finding had known of its whereabouts. Unquestionably, they knew of the book, but they knew little of its contents. The effect of the reading of the law of God to the king was profound. He recognized how terribly far Judah had fallen away from its religious moorings and the dire consequences sure to come to the nation for its wanderings. In response he tore his clothes in grief and repentance. He also ordered that the book be read to all the people. Like the king, they also were convicted for their forgotten vows, and they renewed their covenant with the Lord. A great spiritual awakening and a revival broke out across the land. The Temple was purified of its idolatrous influences. The people cleansed the land of idolatry and stamped out the immorality that was so rampant. It was a new day for Judah – a rebirth of those core values that had made them free – that had made them prosperous – that had made them strong and the envy of much of the world. Few stories speak so succinctly to America and her current need than this one in Scripture. For a little more than five decades America has been spiritually in decline so that now we are facing judgment. 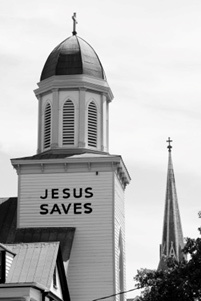 What can secure America's desperate need for reformation? I suggest a rediscovery of the Bible as the authoritative Word of the Almighty, just as they rediscovered God's Word in Judah. The Bible needs to be rediscovered on a personal and a practical level. Our political leaders need to rediscover it, our educational leaders need to rediscover it, our families need to learn and know it again, and even much of the clergy needs to rediscover it. The current age is largely deprived of the Bible and its actual teachings. Graham has never been more eloquent in describing the times. Our culture worships its own idols and has mixed true faith with political correctness – the kind of error that allows people to live in their sins while claiming to love God. This is why there must be a restoration of that "old time religion," as they say – a restoration of repentance and faith as was once demonstrated at a Methodist mourners' bench – a putting away of worldly philosophies and passions in obedience to a holy God's commands. America's sins are many. They are so many and so great, I fear that we cannot escape judgment altogether. But it might be delayed for a generation or more. That's what happened to Nineveh. Jonah, God's preacher, arrived on the scene and announced God's coming judgment. But the people heeded the Word of the Lord and judgment didn't fall for another 150 years. It was delayed for several generations until the people became evil again. Then God's Judgment would come with the Ninevites being destroyed by invading armies. "Thus saith the Lord, Behold I will bring evil upon this place, and upon the inhabitants thereof, even all the words of the book which the King of Judah hath read: Because they have forsaken me, and have burned incense to other gods, that they might provoke me to anger with all the works of their hands; therefore my wrath shall be kindled against this place, and shall not be quenched" (2 Kings 22:16-17). "But to the king of Judah which sent you to inquire of the Lord, thus shall ye say to him, Thus said the Lord God of Israel, As touching the words that thou hast heard; Because thine heart was tender, and thou hast humbled thyself before the Lord, when thou heardest what I spake against this place, and against the inhabitants thereof, that they should become a desolation and a curse, and hast rent thy clothes, and wept before me; I have also heard thee, said the Lord. Behold therefore, I will gather thee unto thy fathers, and thou shalt be gathered into thy grave in peace; and thine eyes shall not see all the evil which I will bring upon this place" (2 Kings 22:18–20). In other words, judgment would be withheld for a time. I think it's also notable to recognize that it was because of godly leadership, an entire nation was redeemed. God is full of mercy and grace. He loves us. I believe He wants America, a prodigal nation, to return to Him and be saved. But unlike individuals who can be judged in eternity, nations must be judged by God in the here and now. It is a fearful thing for a people to know the truth and then persistently sin against it. God doesn't take that lightly. As 2014 begins, I'm earnestly praying our great nation will see the error of her ways. I pray for a rediscovery of the Bible as the authoritative Word of God – a revival of the true religion of Jesus Christ as prophet, priest and king. I pray that God would stay his hand of wrath for the sake of our children and our children's children. I hope you'll join me in that prayer. More importantly, if you have never surrendered to the God of the Bible, if you have never surrendered to Christ, the incarnate Son of God, if you have never made the teachings of Scripture the center of your life and home, then I urge you to flee the wrath to come, turn and believe with all your heart. God save America in 2014. Graham, William F. The Reason for My Hope: Salvation. Nashville, Tn. : W Publishing Group, 2013, pgs. 105-107.